Here Resmar we are proud to offer our customers the Scott range of safety equipment. The ProPak F is an open circuit (type 2) self contained compressed air SCBA Unit. 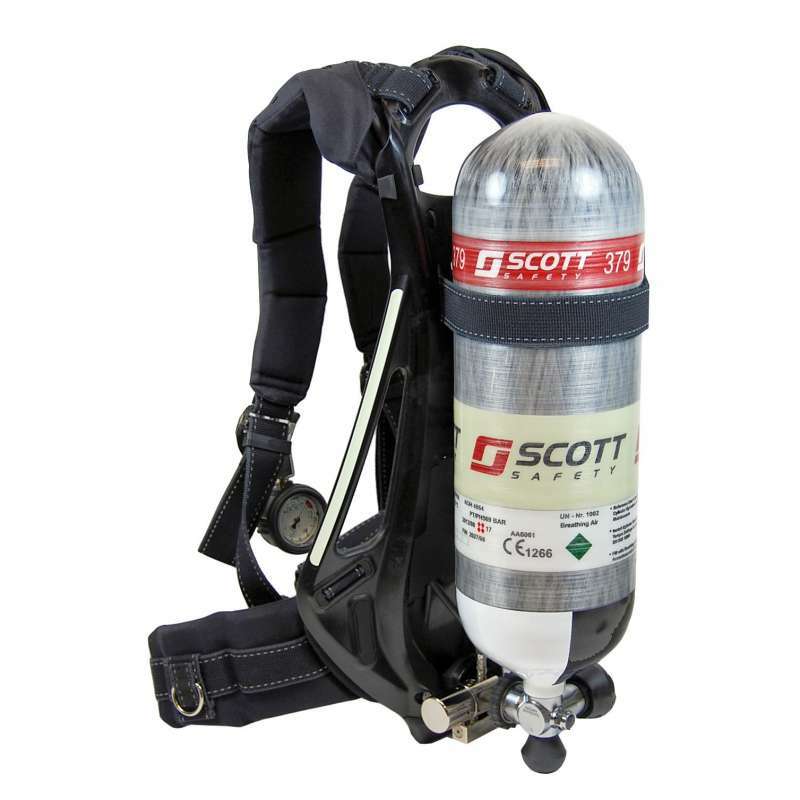 It features a padded carrying harness, backplate, pneumatic system that contains a reducer, pressure gauge, cylinder connector demand valve and whistle. It has been designed so it can be configured in different ways with different size single cylinders and is available in the following variants; split demand valve coupling, airline, quick connect option or duo. In terms of facemasks the ProPak F has been designed to be used with either the Vision AMS, Vision 3 or Promask PP. This unit features the Tempest demand valve which is a compact positive pressure demand valve that features a specially designed servo- assisted tilting diaphragm mechanism that has low inspiration resistance and responsive dynamic performance. Automated first breath breath activation and hands-free bypass as standard. The first stage pressure reducing valve has a non-adjustable spring-loaded piston mechanism and the outlet supply is protected by a pressure relief valve. The valve body and cap aremade from nickel plated brass and a stainless steel spring and hose retainer 'U' clips provide an outlet pressure at 200 bar inlet of 5.5 to 9.5 bar, at 300 bar Inlet 6.0 to 11.0 bar. In single configuration (without the cylinder) the unit weighs 3.2 kg and with facemask 3.8 kg. Its dimensions are 630 mm x 285 mm x 220 mm.